The screening tonight (4/7) is free – tickets to Doveman and to Marc Ribot are both on sale. 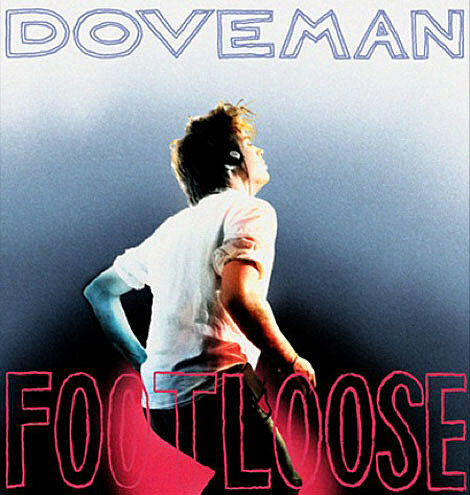 The latter two are not new material – Doveman released a Footloose covers album in 2008 and his original The Conformist LP last year, and Marc Ribot performed with the same film as part of the NY Guitar Festival earlier this year. Also coming up, Doveman will be opening for Patrick Watson on May 6th at the Bell House and May 7th at 92YTribeca. He’ll also be performing with collaborator Sam Amidon at Sam’s album release show at 92YTribeca on Saturday, April 10th. Tickets are still on sale. Doveman also has a show on Thursday, April 15th at Barrow Street Theater with Uncle Monk (Tommy Ramone’s bluegrass duo), Penny Arcade, Bandana Splits (a group that includes Dawn Landes) and Tyrone Cotton. That’s being put on by NYC/Kentucky-based festival Motherlodge. One of the songs on Sam’s new record, I See the Sign, which is out now, is a dead serious cover of R. Kelly’s “Relief” that’s actually sort of affecting. The song is posted above. Beth Orton contributes to Sam Amidon’s new album (and vice versa), and he joined her for two NYC shows in January. They also recently recorded a cover of Big Star’s “Thirteen” with Dave Schramm and David Mansfield for Radio Free Song Club. As we gathered on St. Patrick’s Day to tape show number four, we learned of the death of Alex Chilton. Beth Orton and Sam Amidon were in the studio that night and worked out a version of Big Star’s “Thirteen”. Ted found the lyrics online, Sam picked out the chords and they sang it for the first time. You can download that above too. Marc Ribot will be performing in a trio with bassist Henry Grimes and drummer Chad Taylor at Rose Live Music on April 12th. And he’ll do two sets at the Stone on May 6th (1st Henry Kaiser, Marc Ribot & John Zorn; 2nd Duo with Henry Kaiser & Marc Ribot).